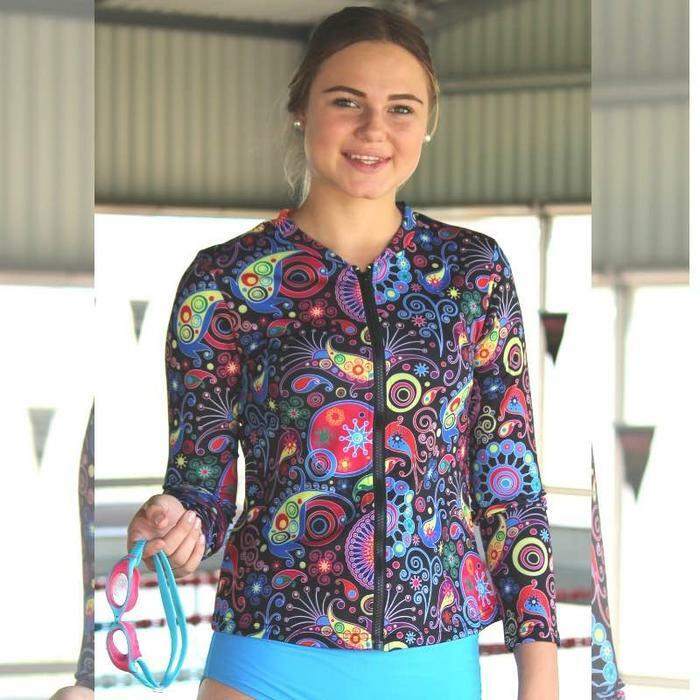 Add a splash of colour to your black swimwear or plain coloured swimsuits with this Womens Rash Vest from Outback Australia's Coola Cozzies. Jules and the team make great sun safe options for women in sizes 10-24 so includes plus size. We love them for their colour, sizing and quality. The price is great too. The Fireworks print will team easily with bathers and is very easy to get in and out of. Add a wide brim hat and you're set for a day in the sun at the beach or by the pool. Oh! 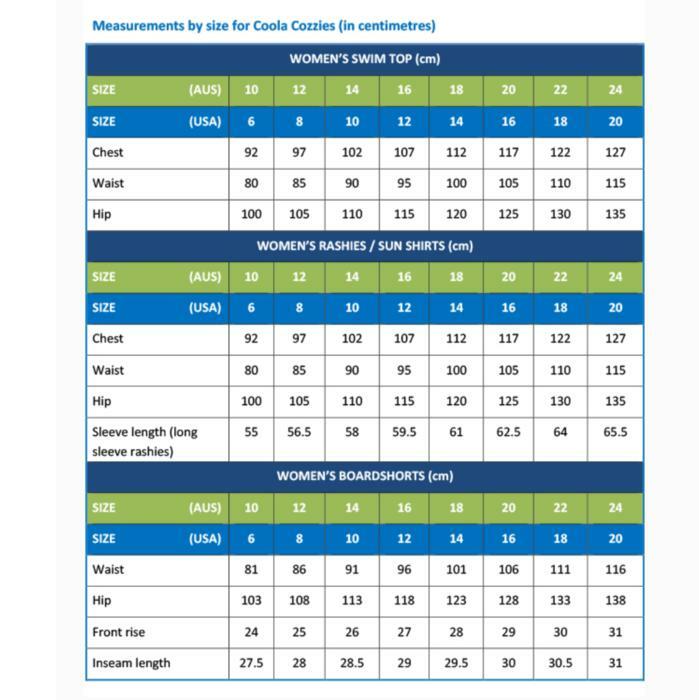 The Coola Cozzies rash vests are made from pool tough Chlorine Resistant fabric too. Great for those who swim often in the pool. Please Note: Coola Cozzies are 'drop shipping' this for us from outback Qld which means you order here and they will dispatch directly to you. It will take a few days longer to reach you so please consider that when ordering. The same S&S Returns policy applies but the return address will be to Coola Cozzies so you can shop with confidence (and consistency). We really wanted to get this awesome small Aussie label up and out there and this was the best way to start to do just that. Any questions, please Contact Us girls. Zip front - for easy on and off.